Md. Ghulam Saber received the Bachelor of Science and Master of Science degree, both in Electrical and Electronic Engineering from Islamic University of Technology (IUT) in the year 2013 and 2015, respectively. He got the IUT Gold Medal for academic excellence in the undergraduate studies. Currently he is working towards his Ph.D. at the McGill University, Montreal, Quebec, Canada. Ph. D. in Electrical Engineering, 2016-Present, McGill University, Montreal, Quebec, Canada. M. Sc. in Electrical and Electronic Engineering, 2013-2015, Islamic University of Technology (IUT), Bangladesh. B. Sc. 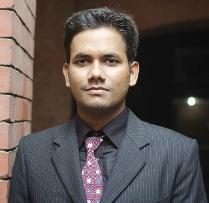 in Electrical and Electronic Engineering, 2010-2013, Islamic University of Technology (IUT), Bangladesh. Student Member, The Optical Society (OSA).